The last years of the old century were a dangerous time for England. Alfred of Wessex, a man of many victories, is in failing health, his successor is an untested youth and the Vikings, who have failed so many times to conquer Wessex, seize the opportunity to attack. Uhtred, Alfred's unwilling warlord, leads the enemy into a trap and at Farnham inflicts one of the greatest defeats the Vikings would ever suffer. But in the aftermath of victory, Uhtred is tested both by personal tragedy and by an attack from Alfred's henchmen, jealous of his prestige and offended by his foreign ways. Uhtred breaks with Alfred, reneges on his oath and returns to the north, to his homeland, a Viking once again. The one person who can bring Uhtred back to the Saxon cause is Aethelflaed, Alfred's daughter, who is married to a Mercian lord who wants to be her father's successor. 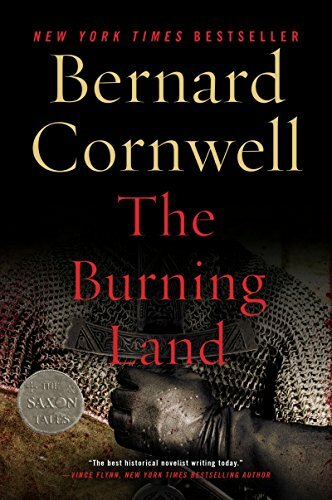 Uhtred takes command of the demoralised Mercian army and leads them in a desperate gamble which ends in a bloodsoaked battle beside the Thames.